We describe a novel and safe needle-holding method that we have termed the ‘dual steristrip technique’. This technique can be used to stabilize the bone biopsy needle without the need for the radiologist’s hand to be in close proximity to the X-ray beam during CT-guided intervention. The dual steristrip technique uses steristrips to stabilize the bone biopsy needle and allows for accurate assessment of needle position and trajectory. This involves affixing one end of a steristrip to the skin 2 cm from the needle skin entry point, wrapping the mid-section of the steristrip around the biopsy needle and affixing the other end of the steristrip to the skin at the opposite side of the needle 2 cm from the needle skin entry point. A second steristrip is then applied in a similar fashion at 90° to the first steristrip. In our institution, we have used the dual steristrip technique to stabilize the biopsy needle in certain cases where assessment of needle position/trajectory can be more challenging. This includes cases where there is a paucity of soft tissues overlying the bone or if the bone lesion is located in the superficial cortex. We have found it to be successful in 80% of cases. 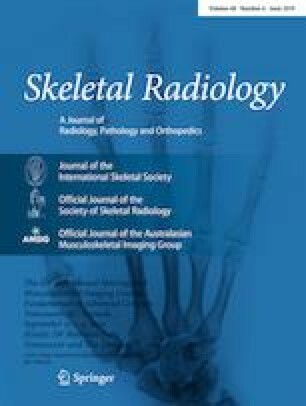 The dual steristrip technique is a safe and effective needle stabilization method that should be considered by the interventional radiologist in challenging CT-guided bone biopsy cases.